Why is dental treatent in Ukraine so popular? First of all, we offer all dental services for low prices, giving you a chance to save your money. It is also a great opportunity to spend wonderful time in an amazing country and get to know foreign cultures. But above all, we always meet the requirements of our patients, ensure high quality, professional dental treatment performed in a stress-free atmosphere and conducted by the best dentists in Ukraine. That is why more and more patients decide to travel to Ukraine in order to gain beautiful, healthy smile. Ukraine is one of the most exceptional coutries in Europe. It owes its beauty and uniqueness mostly to the architecture and culture. Nowhere else can you find so beautiful Orthodox churches and amazing nature of the endless steppes. The culture of the country, which surprises and enchants every tourist, differs from other European lands. Once you visit Ukraine, you will long to come back. Our consultants are ready to provide you with more information concerning our services and answer all your questions. Contact us on the phone, skype, chat or via email and ask about your doubts. We do our best to give you the most detailed information. If necessary, we consult our dentists about your individual case. You can be sure that information provided by our consultants are proven and reliable. You can be sure that with Dentist in Ukraine, your teeth are in good hands. 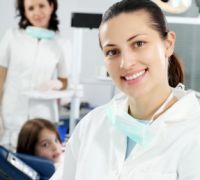 Dental treatment with Dentist Ukraine is a comprehensive dental work conducted by the best dentists. More and more patients decide on dental treatment with us, because Ukraine has not only low prices but also qualified, well educated, experienced professionals, who specialize in both modern and well-tested methods of dental treatment in Ukraine. 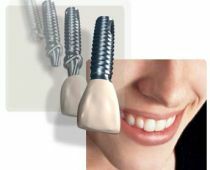 Dental Implants is the most modern and the most effective way of treating toothlessness. Made of titanium,implants in Ukraine have properties which make them closely resemble your natural teeth. That is the most stable reconstruction of the missing teeth, which provides the biggest comfort of biting. If you are tired of your removable dentures, which fall out and cause discomfort while eating, dental implants abroad are the best solution for you. Read more about Implants. 2011 (c) Copyright Dentist Ukraine, inc. All rights reserved.